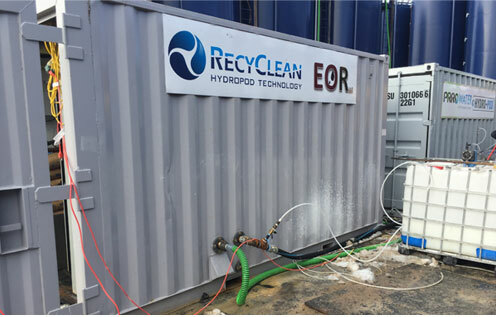 The Hydro-Pod water recycling technology treats frac flow back and produced waters and is the only technology that addresses 9+ impurities in one treatment to mitigate the risks associated with reusing produced water. Designed using 30+ years hydro-frac experience and built upon mature technology, the Hydro-Pod uses a proprietary process employing ozone and bi-metallic electrocoagulation to eliminate the need for hazardous oxidizers and their associated liability. Processing at up to 2.5 to 3 BPM, units can be run in parallel to meet daily processing requirements, and can also serve as a centralized processing facility to serve multiple well locations. 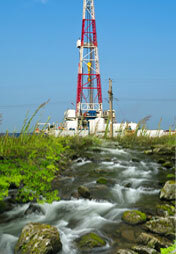 Liability from transporting and disposing of contaminants is nearly eliminated. The Hydro-Pod design enables even those without a highly technical or engineering-related background to easily and efficiently process disposal waters that can be reused in the frac process. The quality of your water is tested and evaluated, and the treatment design is then proven to ensure you have the quality of the water that will be required for your specific needs. This type of water recycling technology delivers the quality of water you need, helps reduce trucking and related expenses, and helps to limit your exposure to potential liabilities. 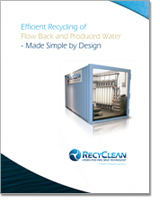 Read more about the benefits of frac water recycling.